Human rights groups warn that many countries up for seats on UN Human Rights Council are unfit under UN membership criteria. As the 193-member U.N. General Assembly prepares to vote Monday for 18 of the 47-members of the Human Rights Council, in an election where the U.S. may lose, human rights groups have warned that many counties up for election remain unfit under the U.N.'s own membership criteria. Pakistan, Venezuela, Kazakhstan, Cote d’Ivoire, Ethiopia, Gabon, and the United Arab Emirates—all of whose candidacies are uncontested and therefore virtually guaranteed—are unfit to serve in a council that claims to uphold human rights, while the qualifications of Kenya and Sierra Leone remain "questionable", UN Watch said in a statement. The evaluations were published today by two non-governmental organizations, the Geneva-based UN Watch and Human Rights Foundation, after being presented Friday at a U.N. Headquarters briefing before diplomats and reporters from international news agencies. "Pakistan, Venezuela, Kazakhstan, Cote d’Ivoire, Ethiopia, Gabon, and UAE systematically violate the human rights of their own citizens," said UN Watch executive director Hillel Neuer, "and they have consistently voted the wrong way on U.N. initiatives to protect the human rights of others." UN Watch this year led an international coalition of 40 MPs and NGOs that appealed to U.S. 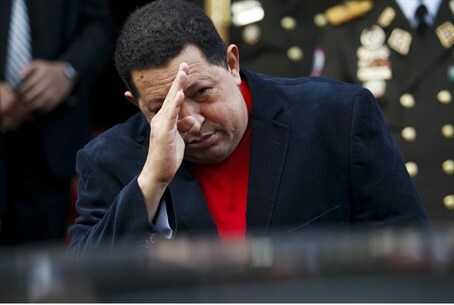 Ambassador Susan Rice, the EU, and world leaders to oppose the bids by Chavez and Pakistan. "Regrettably," said Neuer, "neither the U.S. nor the EU said a word. By turning a blind eye as human rights violators easily join and subvert the council, leading democracies are complicit in the world body's moral decline." "We saw the same indifference last week when Sudan, whose leader is wanted for genocide by the International Criminal Court, was elected by 176 votes -- with support from at least 10 if not 15 EU states -- to ECOSOC, a principal U.N. organ that oversees the accreditation and work of human rights NGOs, and decides the composition of U.N. women's rights bodies." Chavez backs the murderous regime of Syrian dictator Bashar al-Assad, and threw a judge in jail after she released a political prisoner in compliance with a U.N. ruling. Pakistan has a Christian mother of five on death row and coddles the extremists who shot a girl in the head for advocating education for women and girls. It will be an insult to their victims -- and a defeat for the global cause of human rights -- if the U.N. helps gross abusers act as champions and global judges of human rights. "When the U.N.'s highest human rights body becomes a case of the foxes guarding the chickens, victims of massive rights abuses will pay the price," said Neuer. The United States is competing against four other Western countries-- Germany, Greece, Ireland and Sweden-- for three seats on the Human Rights Council in the only contested election at the U.N.'s top human rights body.